Our luxury yacht was featured on Donald Trump's “The Apprentice”, along with Bravo's "Princesses of Long Island". With a luxurious interior & flat screens throughout, this yacht is great for corporate retreats, romantic getaways, and a relaxing 3 hour cruise. The Robb Report Magazine featured our 65 foot Hatteras Luxury Sport Yacht for Yacht Charters and Fishing Charters in Montauk and The Hamptons. We’re the only private luxury yacht charter in Montauk. With room for six guests; we service Long Island, Connecticut, and Rhode Island. Through our partnership with the Air Charter Advisors, a leader in private aviation, we offer Helicopter charter flights & Private Jets from the New York City area to East/West Hampton airports and the Montauk Airport. Please note that we do not rent boats or jet skis to individuals, nor do we have snorkeling equipment on board. All yacht charters include a captain on board. Prices start at $1,800 for 3 hrs including taxes and gratuity. Please see price list pages for better detail. MontaukYacht.com is a yacht charter brokerage owned by Air Charter Advisors, Inc. 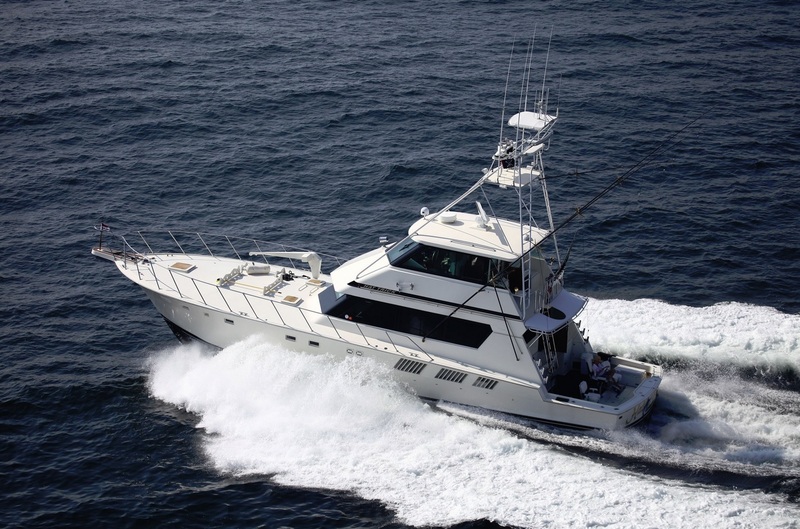 The Hattrick Yacht, a 65 ft Hatteras as pictured above is based at The Montauk Yacht Club in slip #314 as an example of a third party yacht we can arrange for your trips. This is a well maintained family-style yacht. If and when The Hattrick luxury yacht is not available for your charter, or your charter requires a certified vessel able to bring more than 6 passengers, we can help arrange a luxury yacht charter or a private fishing charter throughout Montauk, The Hamptons, Sag Harbor, Block Island, Shelter Island, Fire Island, Fisher Island, on other qualified yachts that we work with. We have been in business for many years, and take safety seriously. The Air Charter Advisors, Inc. and MontaukYacht.com do not own or operate any aircraft or yachts. Please contact us with any questions at all. Please let us know about your trip request and be sure to supply your details so we can contact you! Montauk Yacht Charters | Powered by Mantra & WordPress.